Fall is officially here! October has arrived and brought some must needed cooler mornings to those of us living in Dallas. 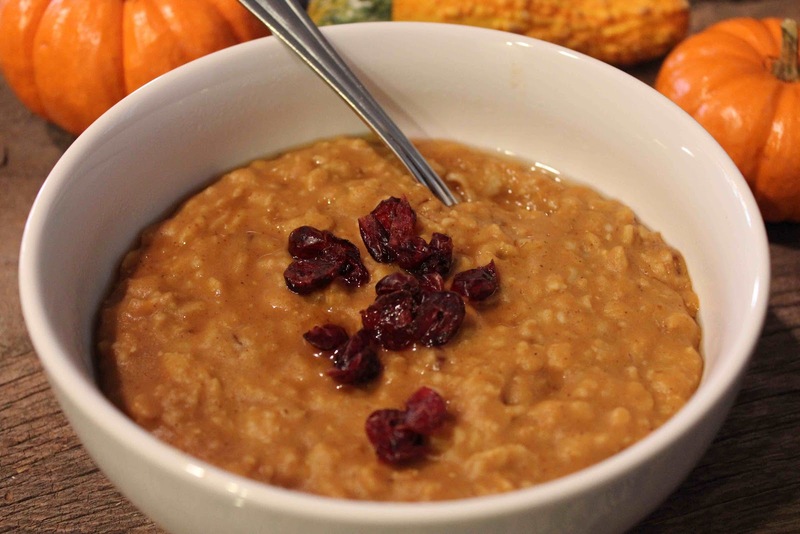 Since I have been feeling festive, I thought I would try a new recipe from Tracy’s Culinary Adventures for Pumpkin Oatmeal. In addition to quick breads and desserts, I’ve seen pasta, ravioli, risotto, and other main courses containing pumpkin, but I’ve yet to try anything that is not a sweet. 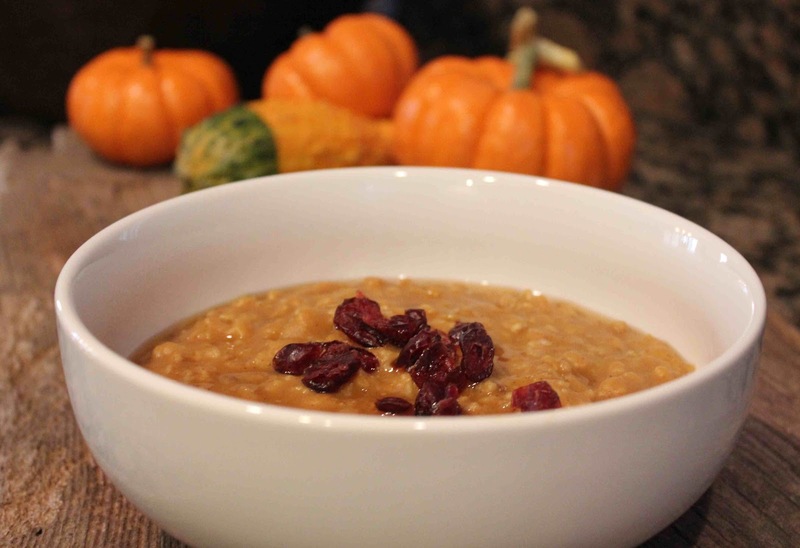 Since I am a HUGE fan of oats, I decided to give this pumpkin oatmeal recipe a try. The taste was great! For those of you who like to eat healthy, this is a perfect morning pick-me-up. The oats are simple to make and should keep you feeling full until lunch. In addition, every time you open up a can of pumpkin puree, you expose yourself to a wealth of nutrients. One cup of pumpkin puree contains just 83 calories and 1 gram of fat. It is loaded with more than 38,000 international units of vitamin A per cup, which helps support cell reproduction, vision health, immune function, bone healthy, healing and fetal development. It also contains a bulk of vitamin K, small amounts of vitamin B, potassium (more so than a banana), antioxidants, and 7 grams of fiber. Read the full article on health benefits of pumpkin puree at Livestrong.com. You can make this oatmeal as sweet or non-sweet as you want. Feel free to add maple syrup, honey or brown sugar to garnish. I like adding a tablespoon of Muirhead Pecan Pumpkin Butter which has 0 grams of fat and only 30 calories. You can also add dried cranberries or raisins in addition to chopped pecans or walnuts. Enjoy! 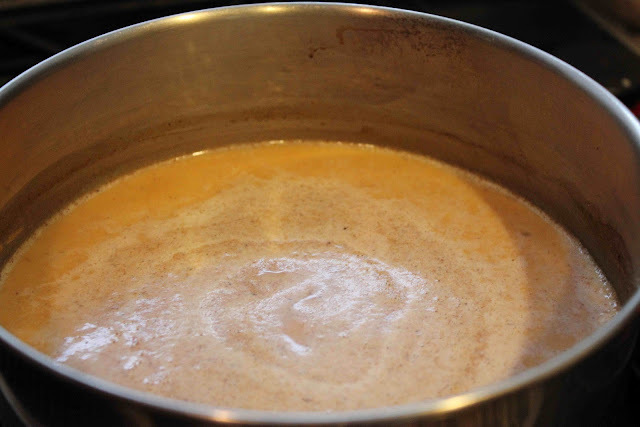 Bring pumpkin puree, water, milk and spices to a boil. Add oats, lower the heat to medium and cook for 15 more minutes. Stir occasionally, until oats have absorbed liquid, are tender, and the oatmeal has thickened. If desired, garnish with maple syrup, dried cranberries, pecans. 1. 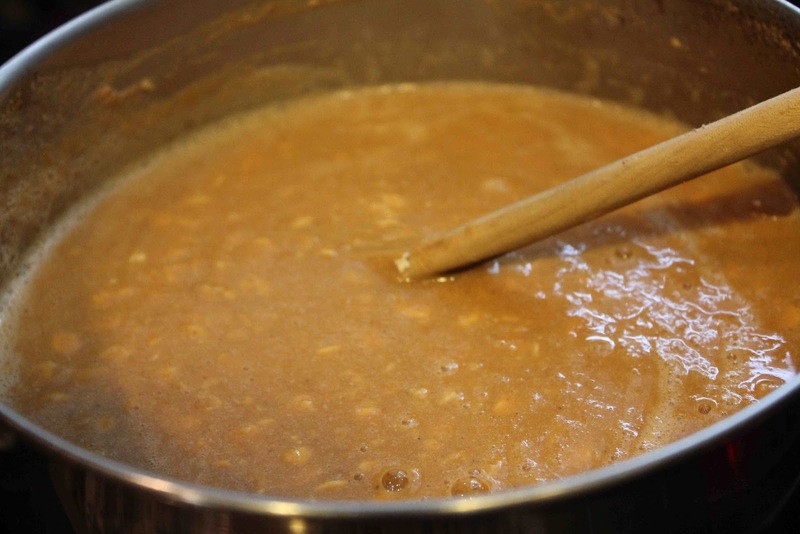 Add the pumpkin puree, milk, water, raisins, salt and pumpkin pie spice to a large saucepan. Set over high heat and bring to a boil. 2. Add the oats to the pan and lower the heat to medium. 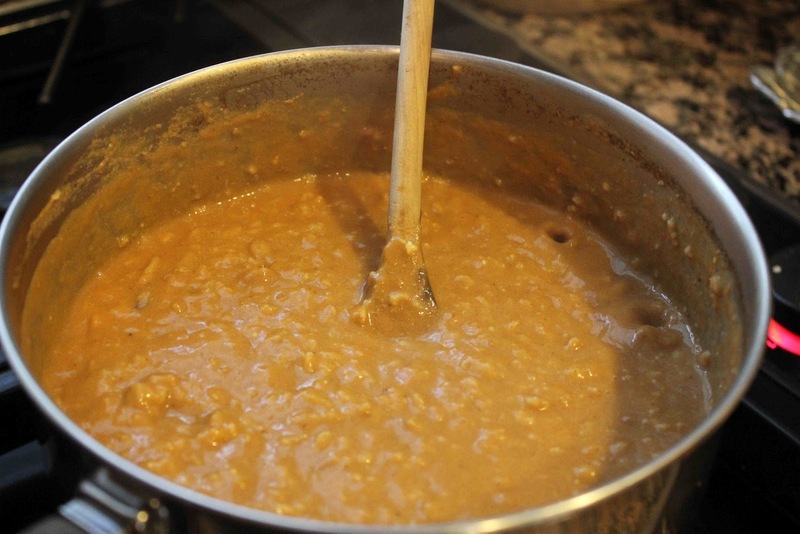 Continue cooking oats for about 15 minutes, stirring often, until the grains have absorbed the liquid and are tender. 3. Serve with additional raisins or dried cranberries, pecans, or drizzle with maple syrup, honey or pumpkin butter. One Response to "Pumpkin Oatmeal"